Mixer Flat Board - Chicago, Illinois - Pekay Machine & Engineering Co., Inc.
Iron Ore Canada is a leading producer of premium quality iron ore pellets and concentrates. Companies all over the world use their products. 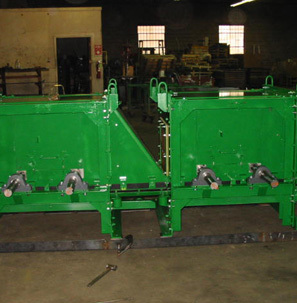 At PEKAY Machine & Engineering Co., Inc. we built the flat board mixer shown here for installation on their production system. With our strong capabilities in the on-belt mixer industry, they were confident that we could engineer and build them a system that promoted quality and efficiency on their state-of-the-art production line. Having a well-equipped manufacturing facility and an energetic, talented staff allowed us to manage this project in an organized, efficient, quality-driven manner. Production required numerous pieces of equipment, including press-brakes, shears, as well as high-energy plasma and laser cutters to form the components from high-strength carbon steel. This project also leveraged the capabilities of our welders to ensure the mixer was sturdily built and structurally sound enough to operate at high speeds in punishing conditions. 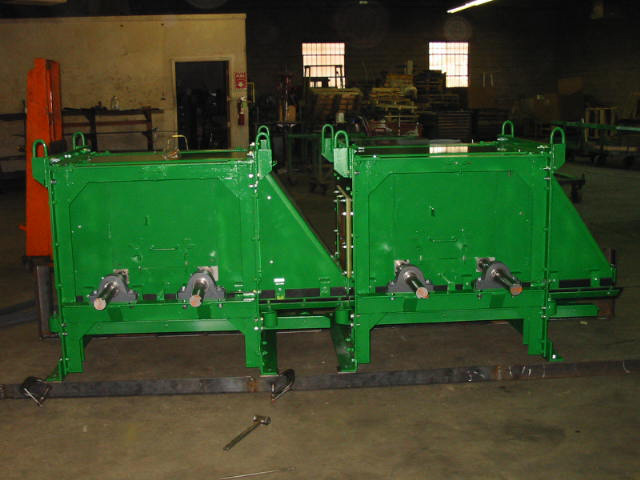 This mixer UHMW flat board was designed to replace idler rollers above the conveyor. Constructed for use on a 30" wide conveyor, this mixer accepts material up to 23.5" in width and three to four inches in depth. Used on a high volume processing line, the mixer operates at belt speeds in excess of 100 mph and is able to process more than 90 tons of material per hour. By paying attention to every detail in terms of planning, fabrication, and quality assurance, we delivered this equipment within an 8-10 week timeframe. Through our accomplishments in design, engineering, and construction, this mixer keeps pace with their throughput requirements and produces mixtures that promote the quality of their ores and concentrates. For more information about this project or our processes, Contact us directly.